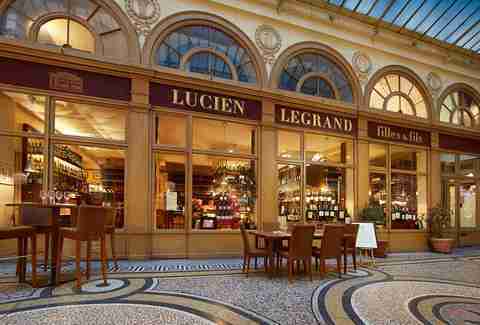 When you really need a wine bar in Paris, you can never seem to find one. But that’s because of the law that governs how the desperate can’t get a date, not because we have a dearth of solid wine bars in this city. 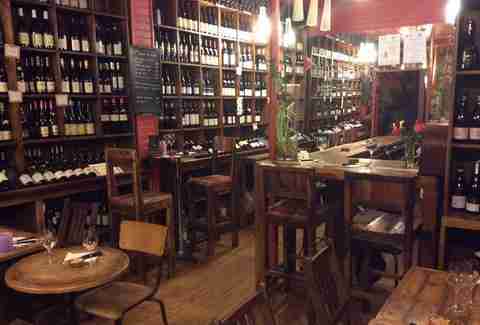 Basically, all the wine bars in Paris serve good wine -- this is France, after all -- but a truly great wine bar offers more than just something to drink. Bottles of wine beg for cheese and charcuterie, among other things. Depending on what sort of experience you’re jonesing for tonight, here are Paris’ best offerings. For those who can’t get into the adjacent restaurant Le Chateaubriand, you can taste the wares at their wine bar next door. Le Dauphin isn’t the most charming place to share a few glasses of wine -- its glass façade looks onto bustling rue Parmentier -- but the creative small plates and natural wines still make it a mainstay. For something a little daintier, this cozy spot features plush chairs and couches instead of the typical wooden tables you might see in most wine bars. Burrata and prosciutto pair nicely with the hundreds of wines available, and the staff is always ready to share advice. It’s not a party scene, or particularly trendy, but it’s a solid place to enjoy something a bit more intimate and refined. 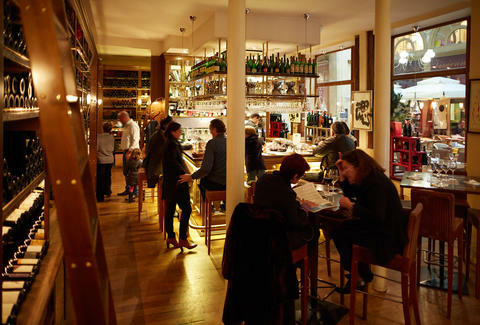 The 18th arrondissement is becoming a scene of sorts, and Vingt Heures Vin the go-to for wine bars in the neighborhood. 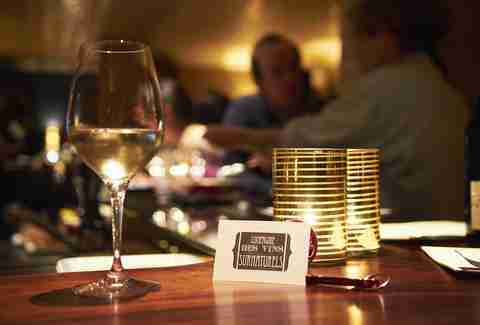 It offers over 170 wines, and most come directly from their producers. 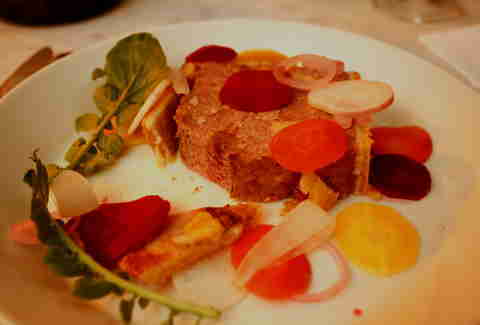 It has all the trappings of a solid wine bar, with honey-roasted camembert, Spanish ham, and foie gras. Tiny, quaint, sometimes rowdy, but always a good bet, it’s just far enough away from the touristy parts of Montmartre to still be appropriately cool. In 2014, a pair of friends launched this little Left Bank bar, which features organic products by small producers. It’s not a big-name affair, but you should expect a smattering of tourists among the smiling locals gathered here. A warm welcome, good food, and good wine are all that it takes -- and it’s located right near the Pont Neuf, so you won’t have to go hunting. 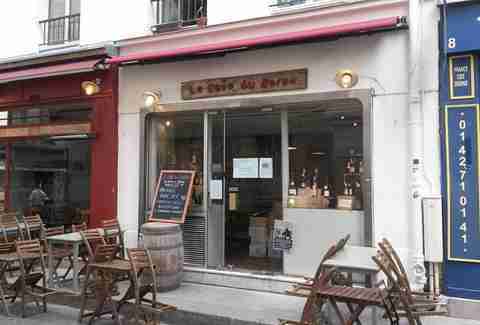 A wholly local wine bar tucked away in the 11th by metro Parmentier, there’s not a whole lot to see or visit in the neighborhood, and bloggers don’t rave about it. 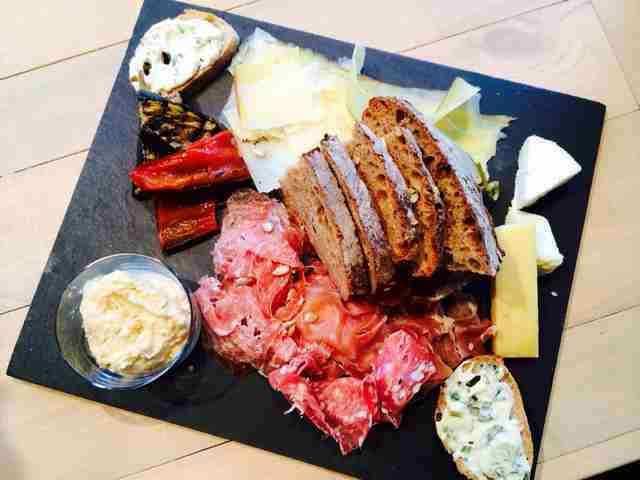 That’s why you’ll hear mostly French at this wine bar, which serves up a broad selection of affordable bottles with a 30-euro meat-and-cheese plate that will satisfy any hunger. Definitely make a reservation if you’re going to make the trek this far. Getting a seat at the Barav might feel like winning the lottery, but if you’re there when it opens at 6pm, you should be fine. Customers can hand-pick bottles from the ever-changing selection of wine at the adjacent shop, and sip the evening away with charcuterie and cheese plates. It’s almost too trendy for its own good, but that’s because there’s so much to love. This Japanese-inspired wine bar, housed in the vaulted cellar underneath Restaurant A.T, is not your grandfather’s wine bar. 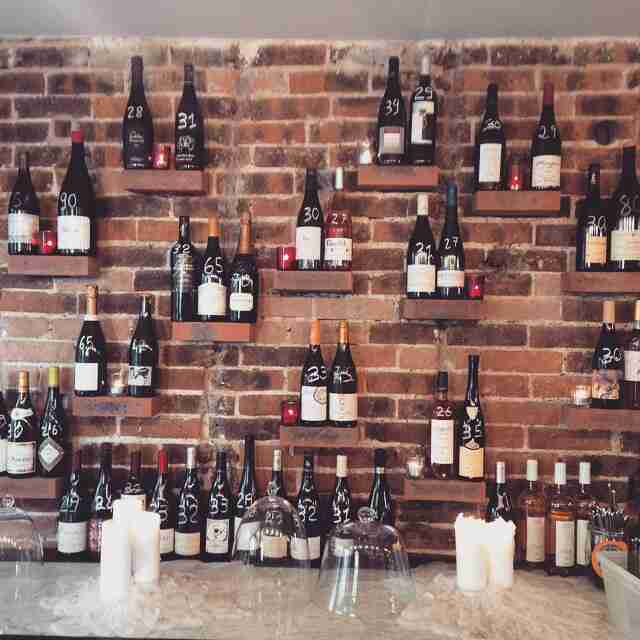 A limited selection of bottles await customers each night, while the usual suspects mingle with whatever the chef has prepared upstairs in the kitchen. The bill will add up with all of that wagyu beef and fancy cheese -- but hey, no regrets. 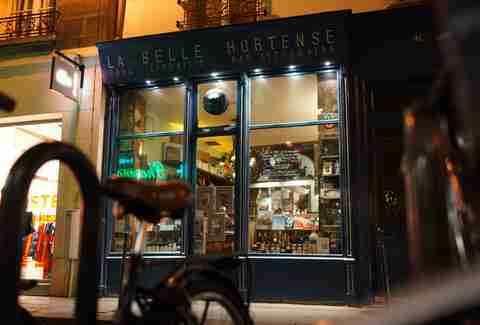 La Belle Hortense in the Marais is a solid bet for a probable chance of meeting an English-speaker. 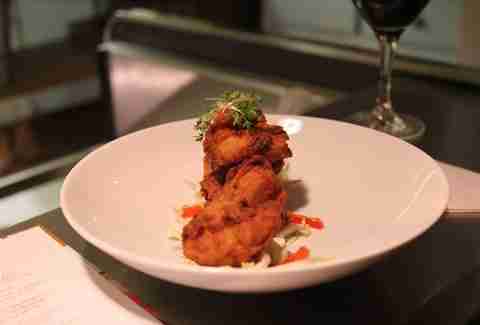 Half bookshop, half wine bar, this tiny little establishment serves up small plates from the café across the street. It’s not the most hidden gem in the city, but it’s a solid go-to when wandering the Marais. For a delightfully old-timey feel, this wine bar, located in the 19th century covered passage Galerie Vivienne, brings the charm. It is unabashedly French when it comes to wine, so don’t expect more exotic quaffs. It’s not really a scene as far as entertainment is concerned, but for a calmer glass and some nibbles, you can’t really beat it. Great for when grandma’s in town. 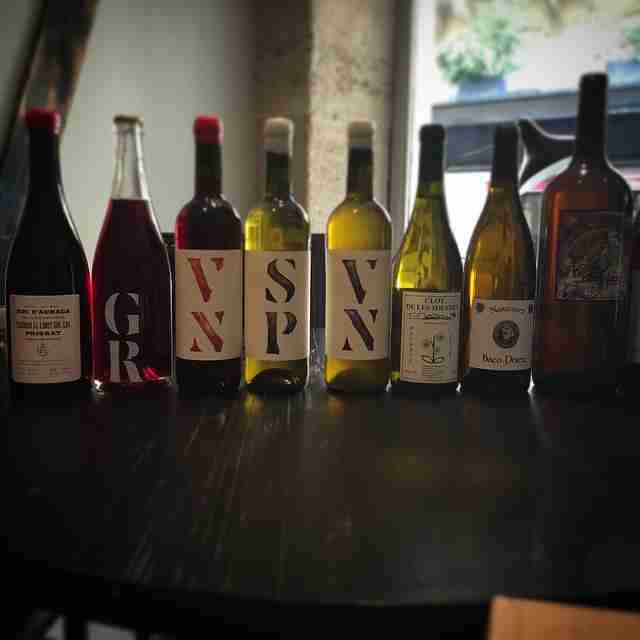 If you want delicious wines, but your French isn’t perfect, this American-run wine bar is the place to go. Wine-loving English speakers usually pack this tiny bar, sharing small plates with carefully selected glasses of red and white. Nobody moves to Paris for the fried chicken, but that shouldn’t stop you from ordering at least one plate while here -- you won’t regret it.